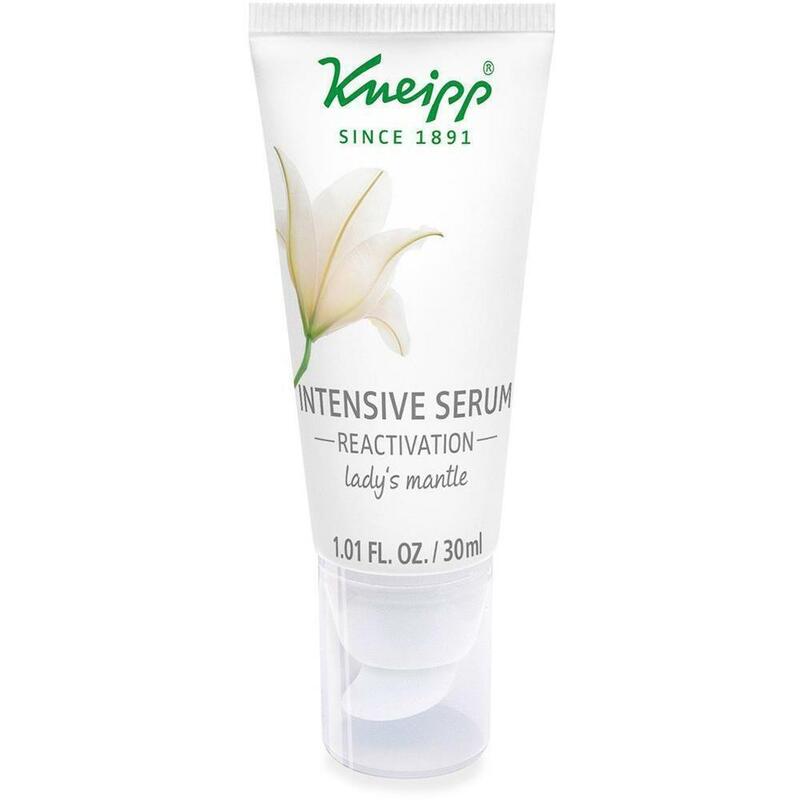 Kneipp Intensive Serum - Reactivation - Lady's Mantle 1.01 oz - 30 mL. 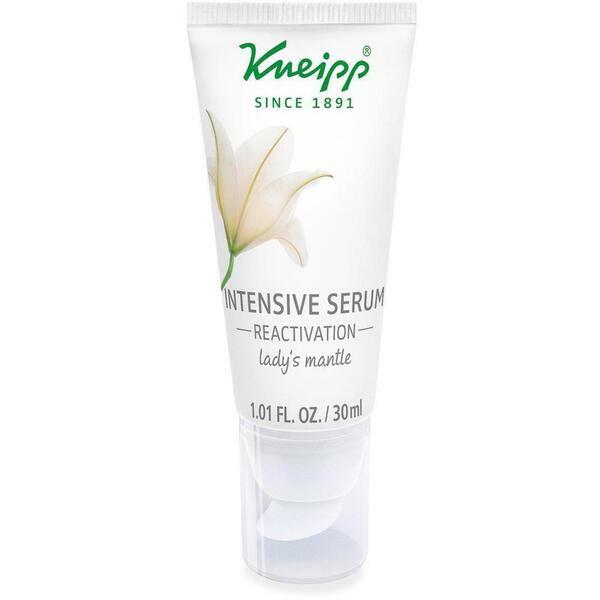 Kneipp Intensive Serum - Reactivation - Lady's Mantle / 1.01 oz - 30 mL. Help reduce the appearance of retail customers' wrinkles with Kneipp® Reactivation Intensive Serum. This concentrate contains lady’s mantle extract for noticeably firmer the skin and long-lasting moisture. Dermatologist tested and recommended, Kneipp products contain plant-based functional ingredients. Vegan. No paraffin, silicone, mineral oils, or animal testing. 1.01 fl. oz. 1. In the evening, apply to washed and toned face, neck, and decollete. 2. Massage in gently.